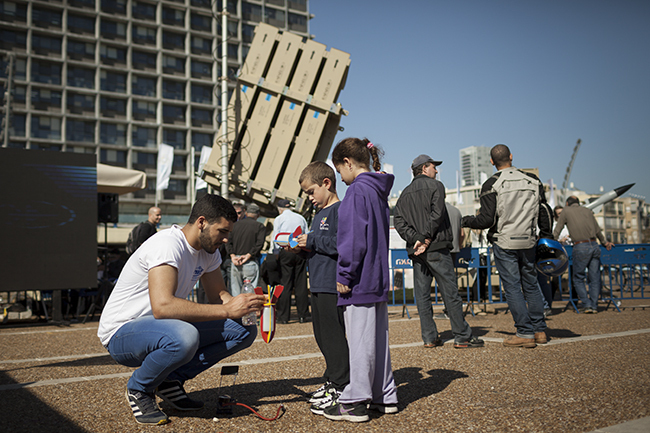 Tel Aviv, Israel – 26th of March, 2014: The Iron Dome (Kippat Barzel) anti-missile system is displayed in the city’s central Rabin Square, as part of the national Science Day held to celebrate Israel’s technological advancements and inspire its youth to study science and contribute to the country’s growing hi-tech industry. 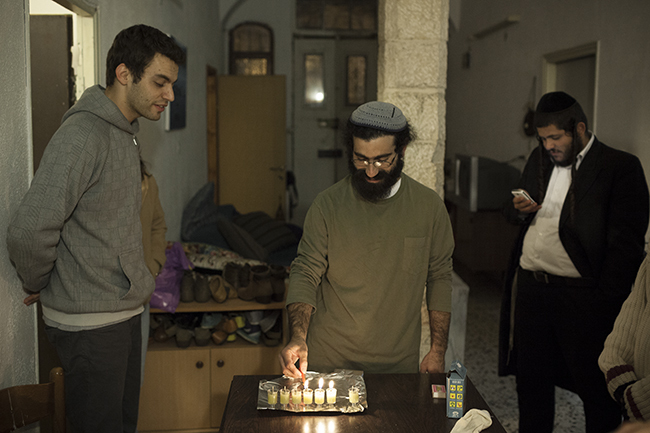 Tel Aviv, Israel – 12th of February, 2014: A youth movement shirt and army sweatpants serve as nightclothes for guests sleeping over at Avichai’s flat. 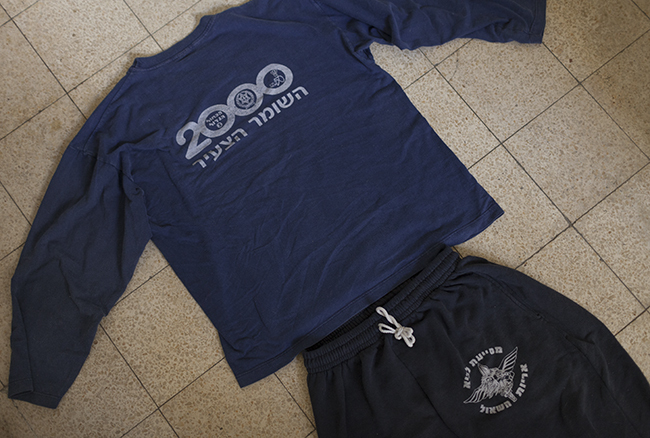 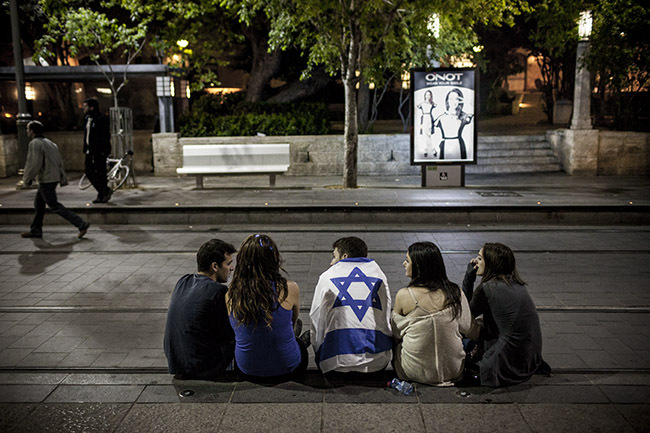 Past membership in Zionist youth movements and in the country’s armed forces are both extremely common among Israelis, leaving many traces such as identification clothes from one’s army unit, training sportswear and more or less funny shirts commemorating events or anniversaries. 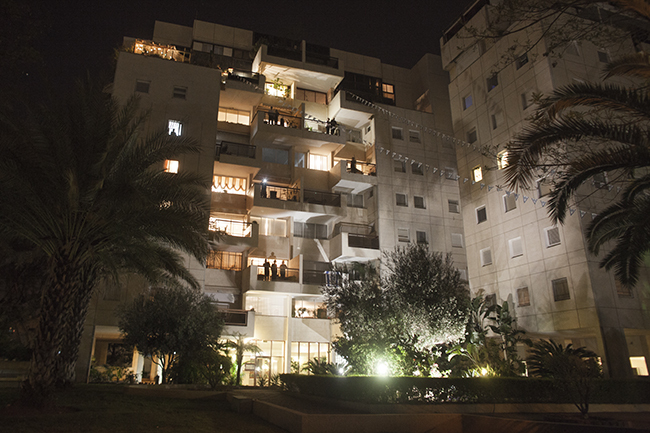 Tel Aviv, Israel – 6th of April, 2013: Residents of the wealthy northern neighborhood of Ramat Aviv watch from their balconies as protesters march towards the house of Yair Lapid, Israel’s new finance minister.